Mark Woollen is the unsung genius of the Hollywood marketing machine. His studio ‘Mark Woollen and Associates’ have mastered film trailer-making as a fine craft, regularly called upon by the likes of the Coen Brothers and Spike Jonze to turn their visionary filmmaking into persuasive works of art. Before he steps onto the stage at Semi Permanent 2019, we looked under the hood of three recent film trailers to reveal their secrets — two movies you might have seen, and one you haven’t. Get tickets to Semi Permanent 2019 here. I love how The Favourite trailer is broken into two very distinct parts. Was that always the intent? We’re always trying to figure out what’s special about a film and identify its strongest assets. One of the biggest considerations in The Favourite were the three lead performances and trying to find an efficient way to set up each of these characters and their motivations. The first act of the trailer is in the first minute. This is about introducing Queen Anne’s character and what she’s looking for, which is companionship and adoration. We introduce Abigail who has this interest in power and Sarah who has an interest in survival; really setting the table for how these motivations are going to intersect in the second act. This shift occurs after the semi-polite introductions when Abigail ‘accidentally’ shoots Sarah. Queen Anne is obviously mad but she's not a complete raving lunatic, so we have a moment in the first half where you get a hint at what’s going on (“everybody leaves me, or dies”) — you understand there’s going to be an extra layer there. There are so many tiny details where we’re using every frame to help chart the story. Act two of the trailer is where you’re going to get a better look into how they’re all going to go off the rails throughout the power struggle the film depicts, because this is definitely not your typical Hollywood period film. The music used definitely hints at that disorientating feeling too. The 2nd act uses Didascilies by 20th-century composer Luc Ferrari — which is a recurring theme throughout the film’s score. In the trailer, it builds to a fuller place quite quickly to drive a taste of the wickedness. Trailers from the 80s and 90s gave away so much plot, whereas this feels a little more inquisitive. Do you think that’s a new trend or just your way of working? We’re fortunate enough to work on smart films with a unique vision and I always feel a responsibility to honour that, hopefully without relying too much on trailer tricks and tropes. Ultimately, you don’t want to feel you’ve seen all the best things before you’ve paid for your ticket. We could have always made a trailer for Yorgos superfans, but there are only so many people who saw The Lobster or The Killing of a Sacred Deer; they want a bigger proposition. But it’s always shifting, and some films are easier to explain and set up in short form and others have more complicated stories. We only wanted to whet your appetite of where things were going to go. You’re just briefly entering the world then preserving a lot of the delicious dialogue and story for the movie experience itself. How complete was this film when you started work on it? The Favourite was about 99% done except for a tiny bit of tuning, and that was helpful because there was such a specific vision in terms of performance choices and tuning up the timing of everything. Sometimes you’re in a position of trying to figure out how to interpret tone that might get shaped further in the editing room. But in this one, we knew what we were working with. Who would typically brief you on a trailer like this one — Spike or the studio? Everything we do is a collaboration between ourselves, the studio and the filmmaker, but depending on the project the balance of power might shift a bit. We never get final cut, but the projects I’m proud of pretty much resemble most of our first instincts. 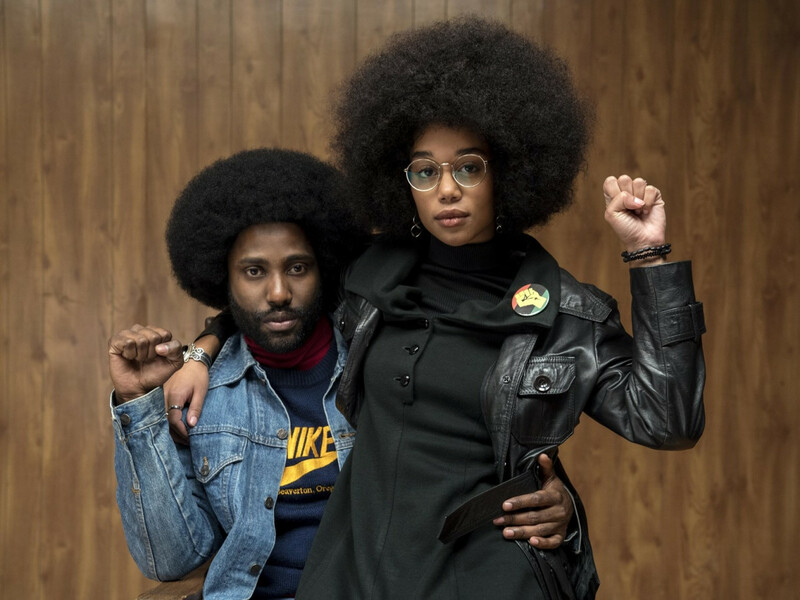 What was the story you were trying to tell in the Blackkklansman trailer? It’s a very high-concept pitch about a black police officer infiltrating the KKK and the crazy thing is that it was based on a true story. There was such strength behind that concept, we just needed to find the best way to communicate it. What were some of the techniques you used to condense that concept into a couple of minutes? What’s interesting in this trailer is how that whole story kicks off, which is via a phone call between David Duke and Ron Stallworth; for the trailer, we combined two scenes and created a conversation that doesn’t actually occur in the film. The first phone call is when he inquires about the KKK and is talking to a low-level lackey, then an hour into the film he actually has his first phone conversation with David Duke (to discuss his membership card), so we’ve taken the first ten minutes of the film and cut it with a conversation from the second hour of the film, because there’s a need to condense time and hit home that there would be a conversation between this police officer and the Grand Wizard of the KKK — not to mention Topher Grace’s star power. If you’re watching the trailer it’s fairly seamless, but if you’re watching the movie it doesn’t really occur that way. What happens if elements like titles or hero music haven't been decided on by the time you need to be done? Blackkklansman was a film we received in a fairly finished form so we had an idea of what that look would be. In plenty of other cases, we’re designing and creating graphics that may inspire the film or connect with the campaign. For example, there’s a piece of music in the film — The Temptations’ Ball of Confusion— which was the anthem for the trailer and much of the campaign. That song plays in a fairly background way about an hour into the film, but we all agreed to put it out in front as the main theme of the story. Can you talk more about the editorial process of making a trailer like this? A lot of what we do is some form of remixing. There is so much consolidation and splicing of dialogue to get to the heart of a moment, but ultimately the concept and spirit of the story should still be coming through — that’s always our number one goal. In the economy of storytelling, we’re using a lot of split-screens to solidify the idea that Ron will be on the phone and Flip will be out in the field. This is a movie with moments of humour and drama and we need to deliver the right balance. Hopefully, when all these things come together it’s a seamless piece of entertainment. You have a pretty strong working relationship with A24 right? We’ve worked with them on a lot of films over the years going back to Spring Breakers then onto films like (Oscar winner) Moonlight. They’re also known for taking a different stance on film-marketing. Does that change the way you’d make a trailer for them? I always want to work with people who are interested in pushing the limits and taking chances and not just relying on the same-old. They're working on films with ultra-creative filmmakers and their advertising needs to represent that. For example, we did a teaser for The Disaster Artist a few years back. It was just one scene, unedited, and they were into the idea of using this one moment to represent what’s great about a film. You’re working with a really fucked up sci-fi movie directed by Claire Denis. It’s a fun place to play because there are so many genre tropes that this movie doesn’t fully play into, so even though you have images of people on a spaceship there is a whole lot of other stuff going on. There are elements of a thriller, but there’s so much more that’s going on with these characters. 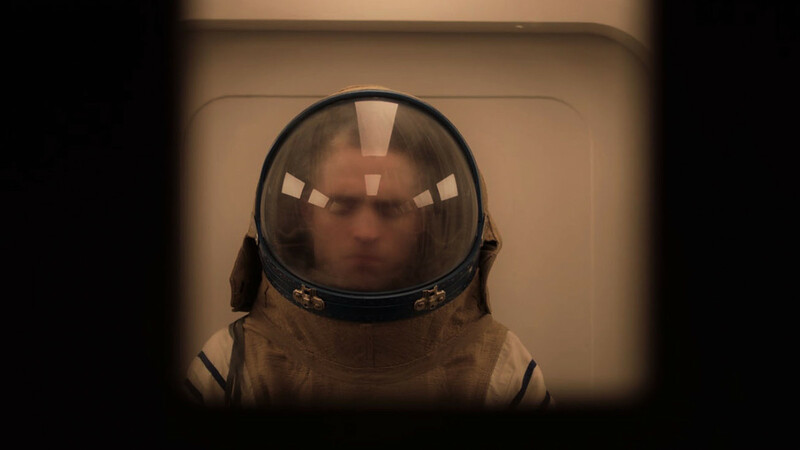 We start with Robert Pattinson’s character with this child. There’s this eerie sound “da-da?” which is emanating from a computer co-teaching the baby to speak. That’s a recurring sound in the trailer that doesn’t really play into any genre convention. Then you have Andre 3000’s character growing his plants, and Juliette Binoche who is this fascinating doctor and there’s a lot of sexiness and mystery. Again it’s just about capturing a bit of the feel of the film. It wouldn’t work to make a trailer with all the typical sci-fi sound effects and thriller packaging, that’s not what’s special about this film. So everything from the graphic design to the sound design is there to capture what’s special about the film. Mark Woollen will speak at Semi Permanent Sydney 2019 alongside Michel Gondry, Anagrama and many more. Tickets here.